Dire Straits were a British rock band who emerged during the post-punk era of the late 1970s, active between 1977 and 1995, with Mark Knopfler (lead vocals and lead guitar), his younger brother David Knopfler (rhythm guitar and backing vocals), John Illsley (bass guitar and backing vocals), and Pick Withers (drums and percussion). 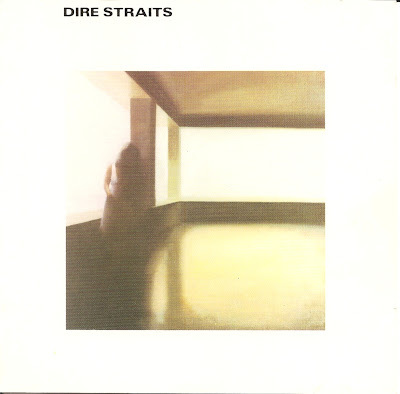 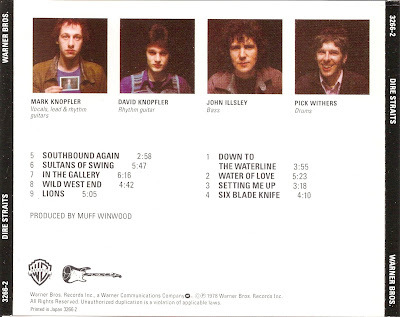 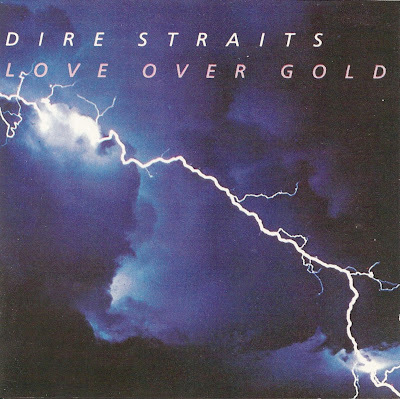 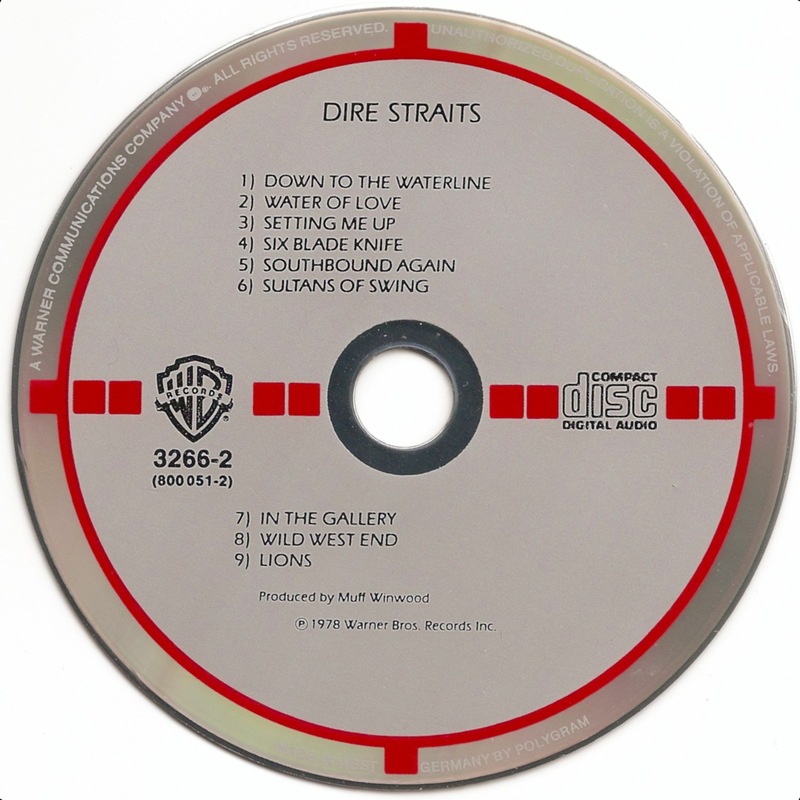 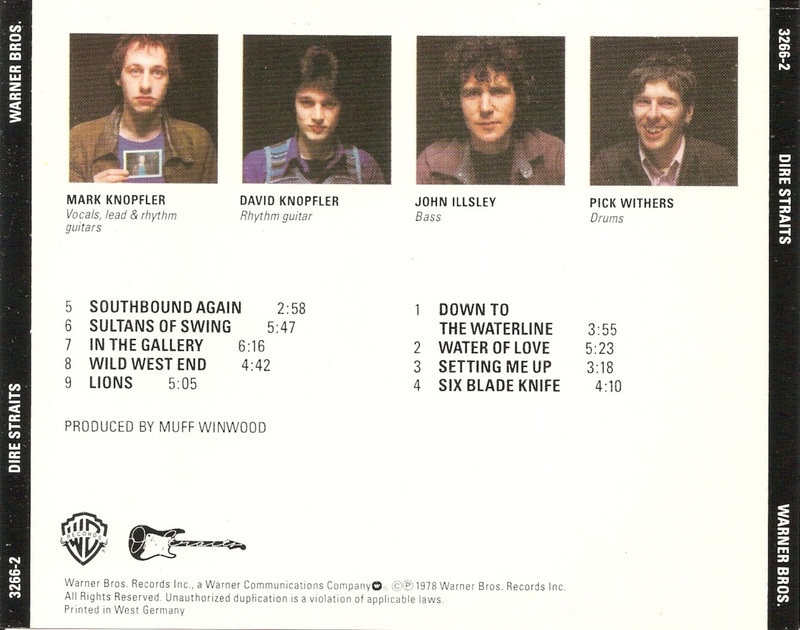 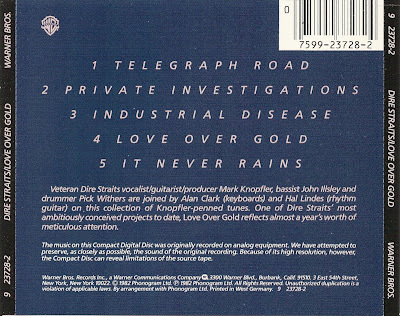 Dire Straits is the self-titled debut album by British rock band Dire Straits, released in October 1978. 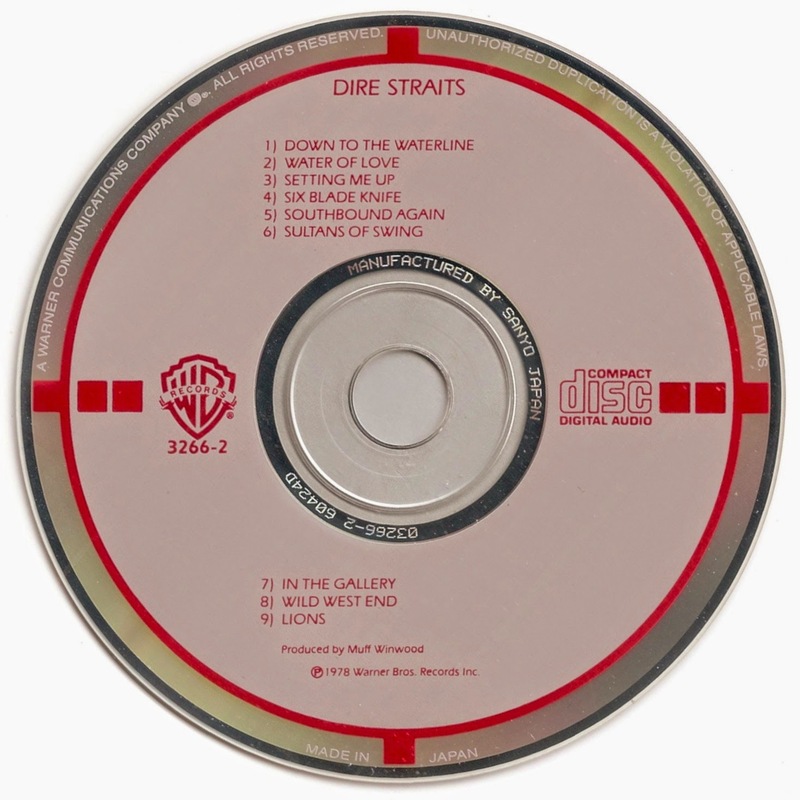 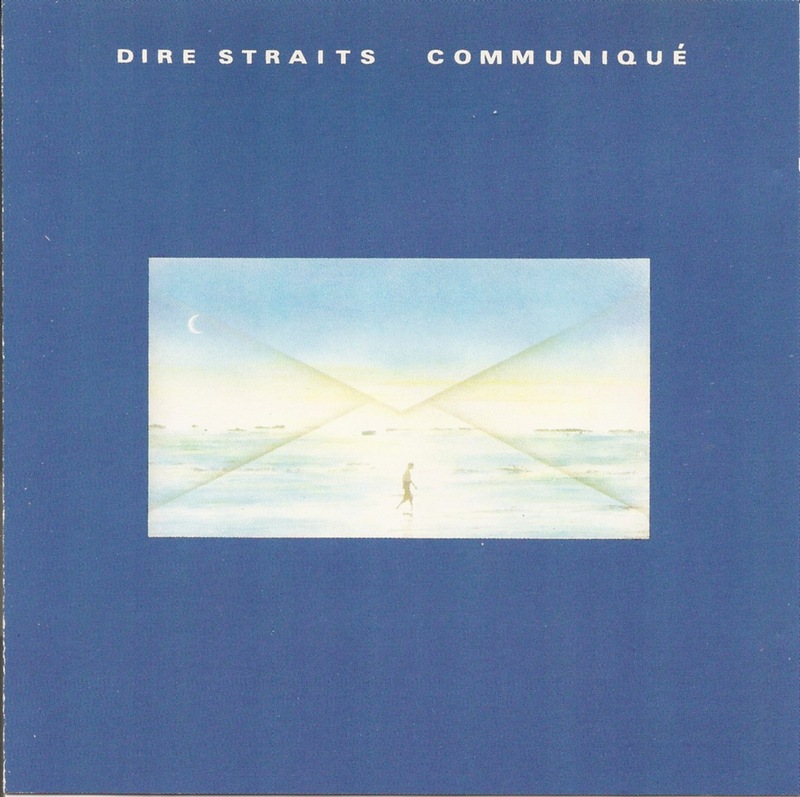 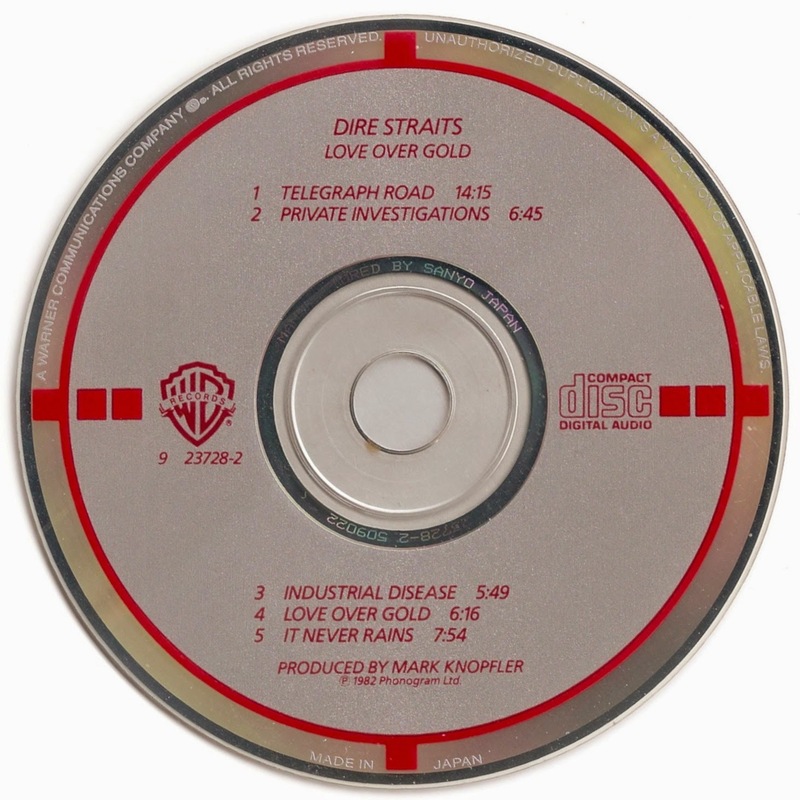 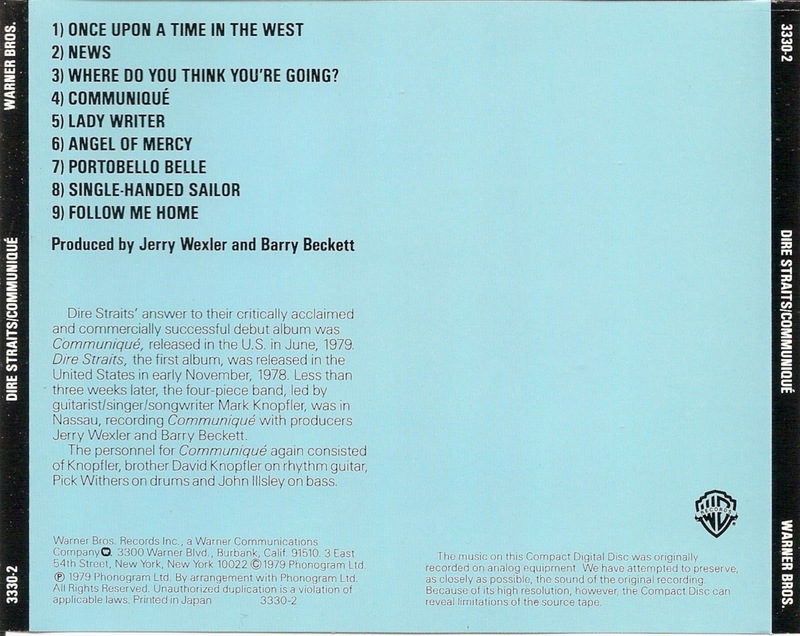 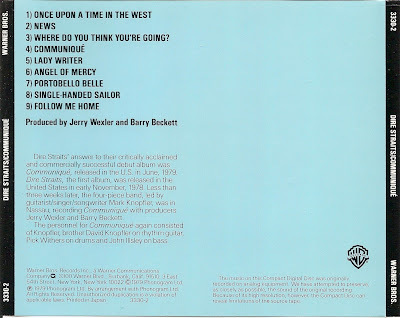 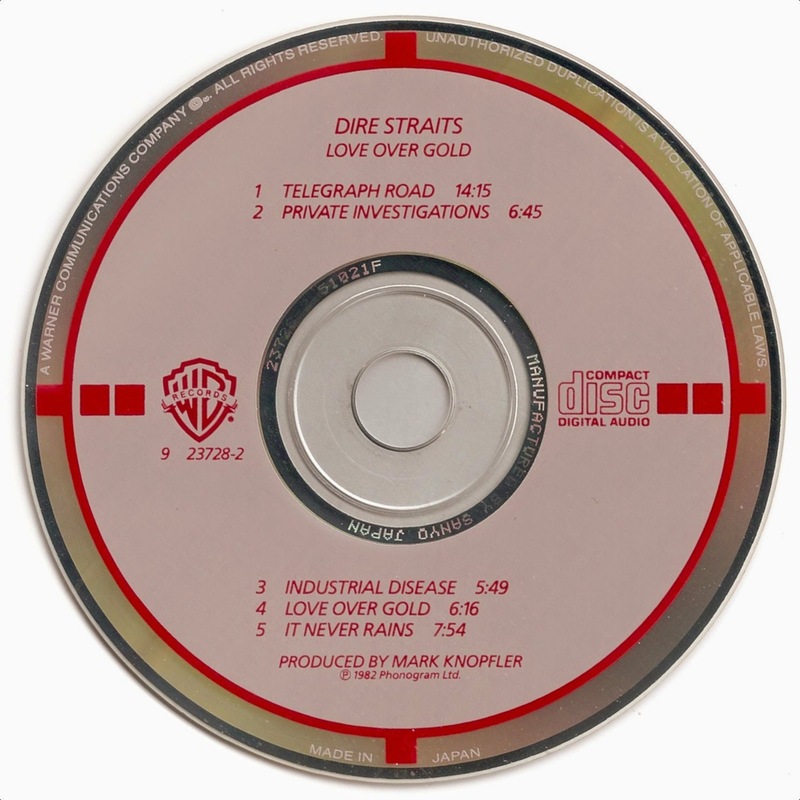 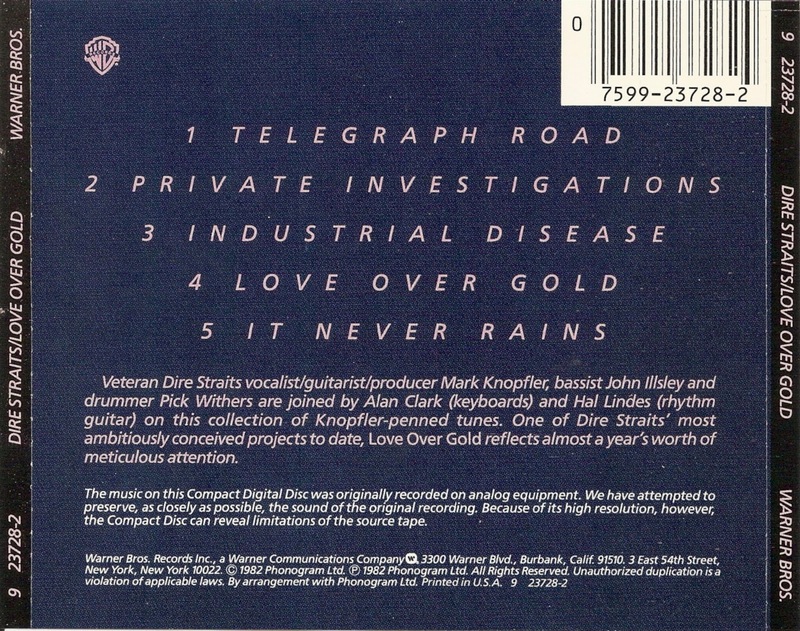 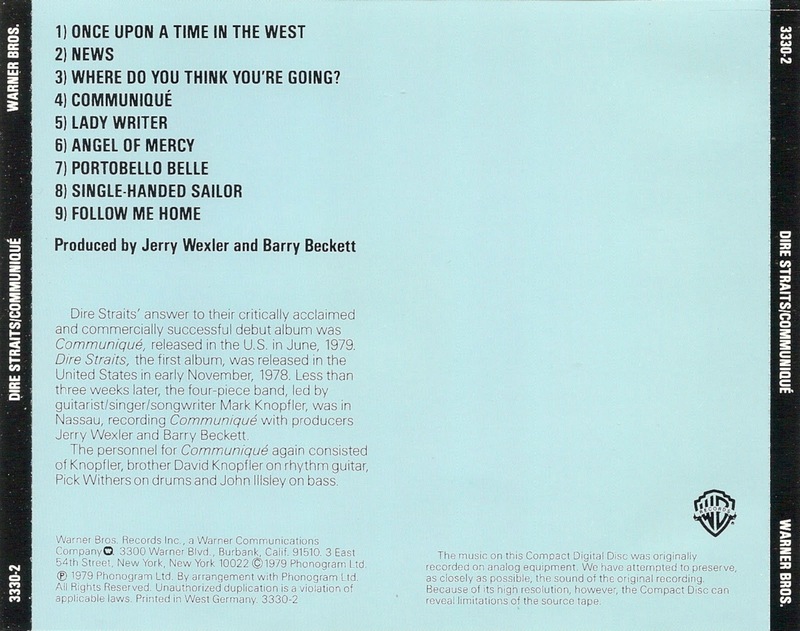 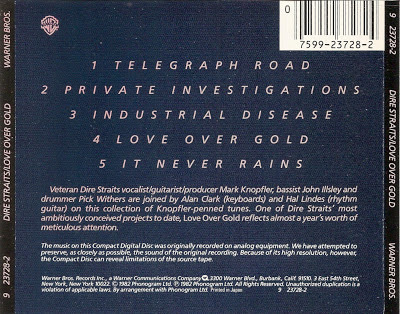 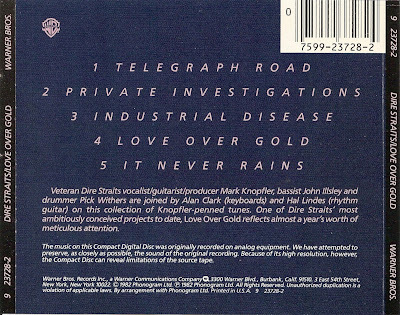 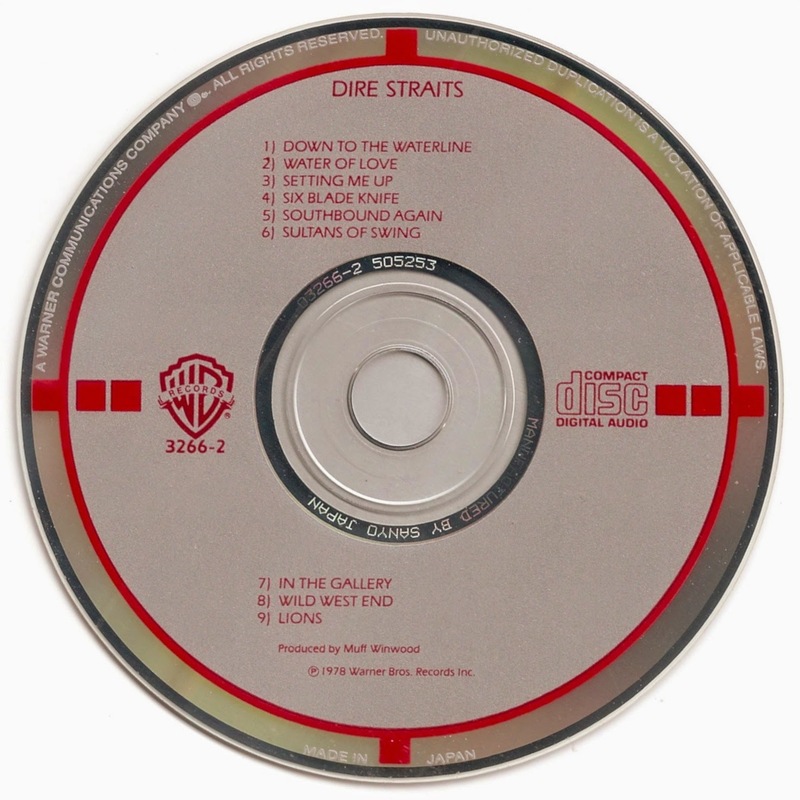 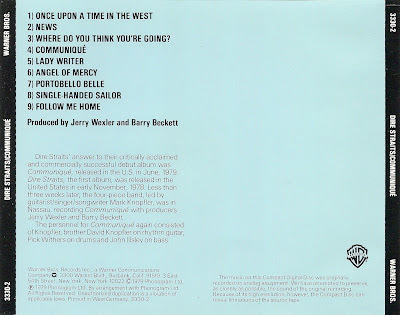 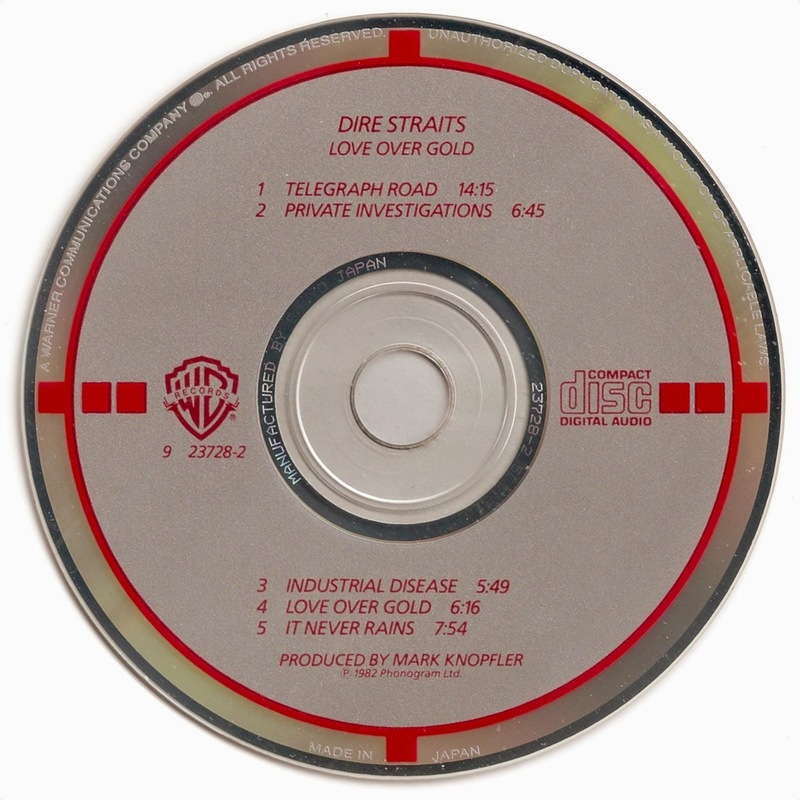 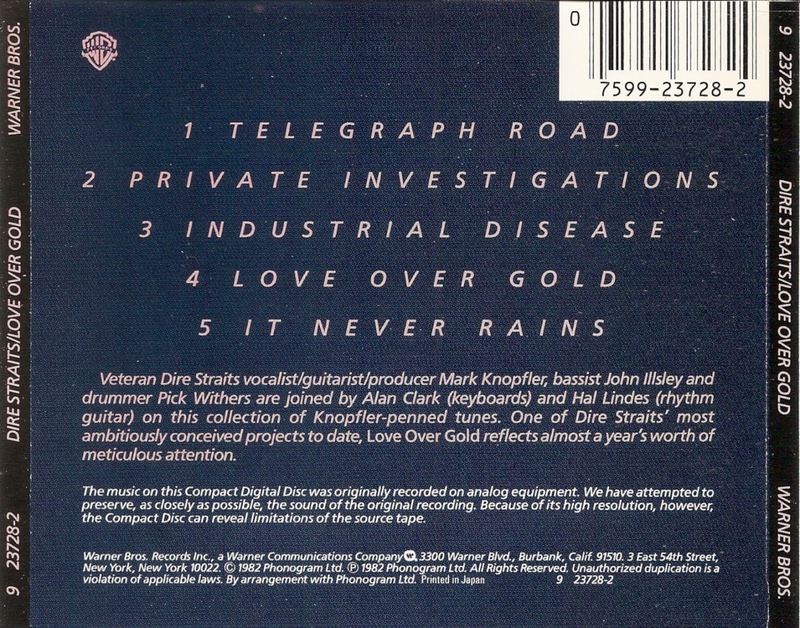 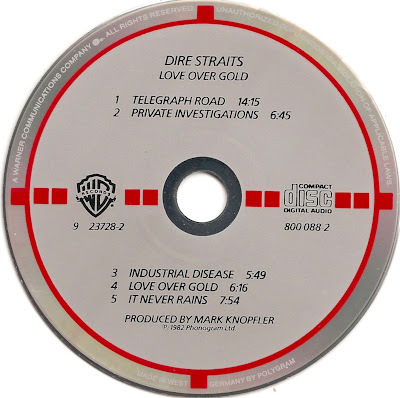 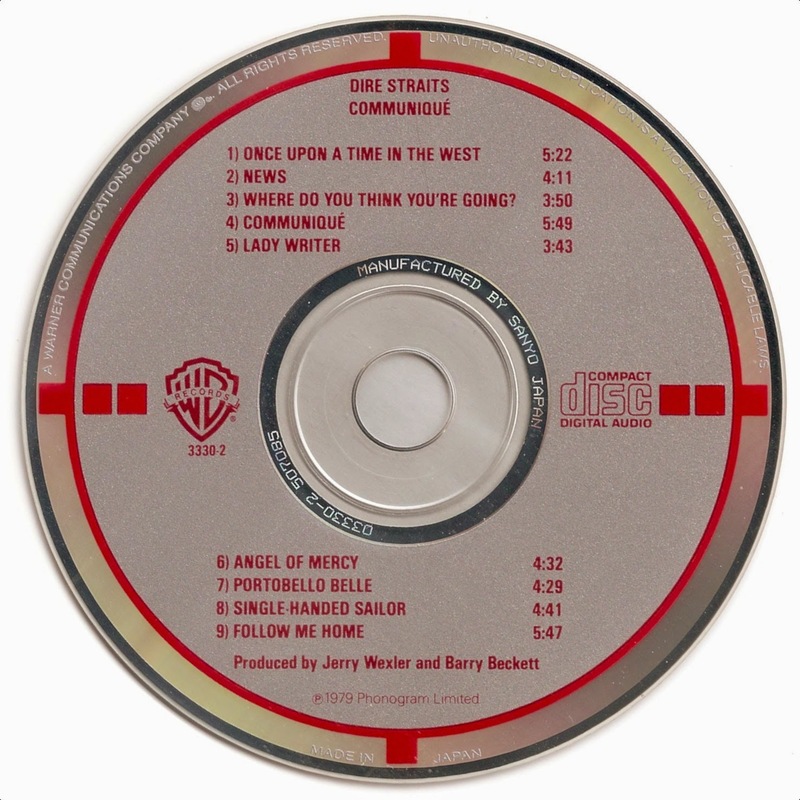 Communiqué is the second album by British rock band Dire Straits. 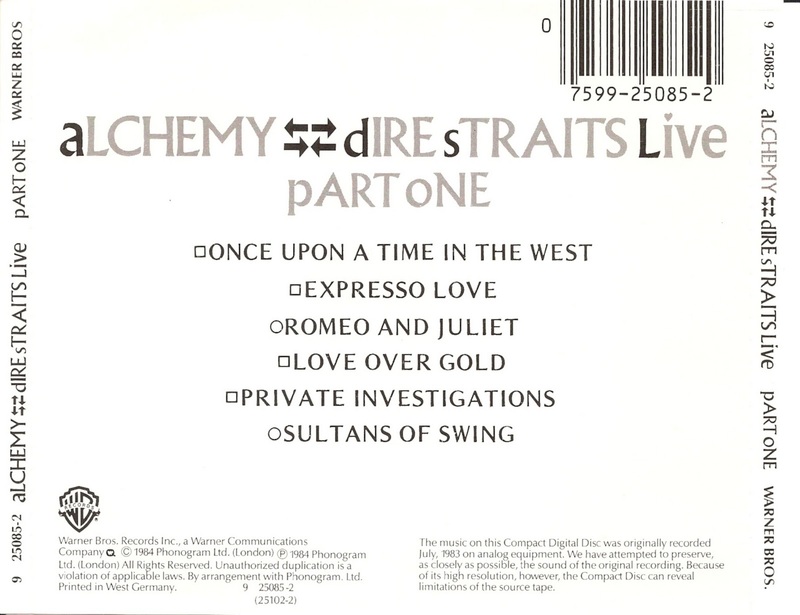 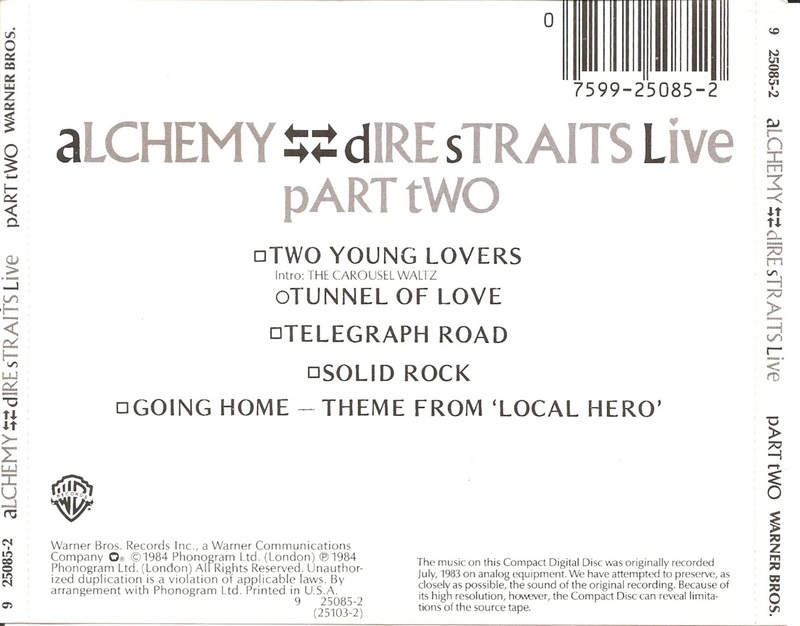 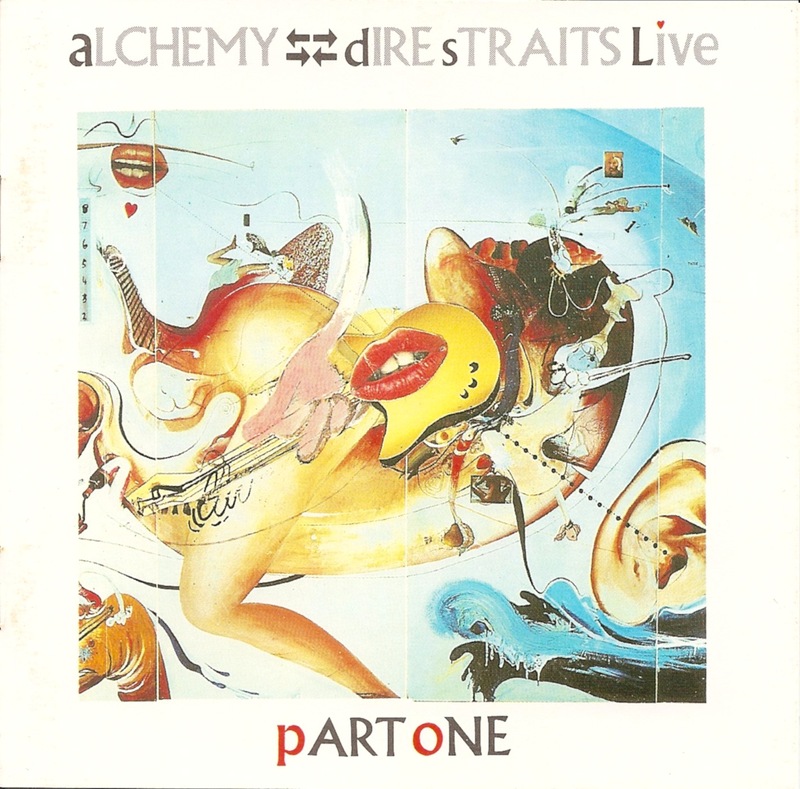 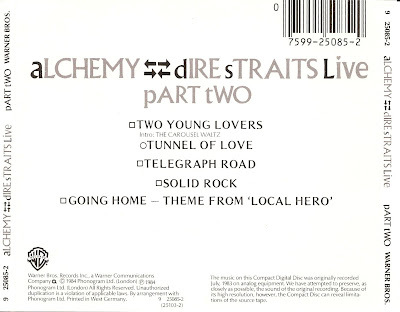 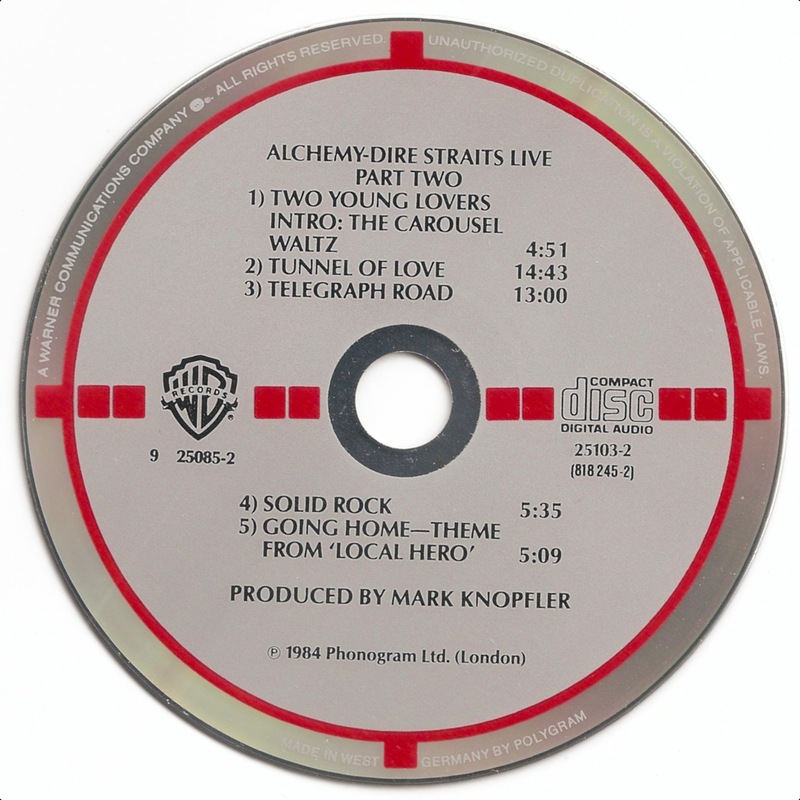 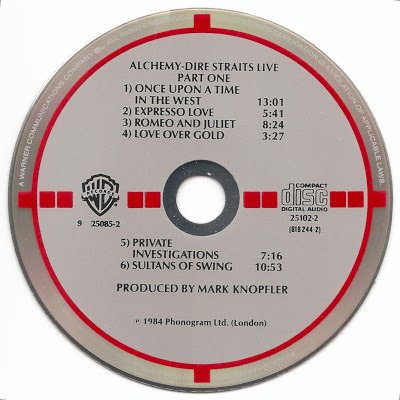 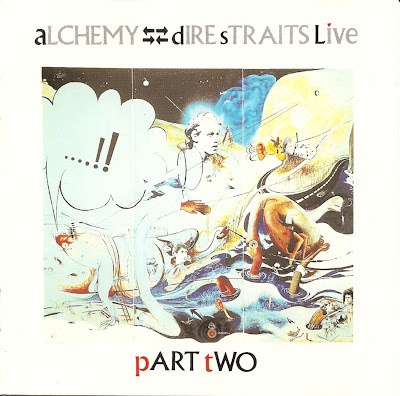 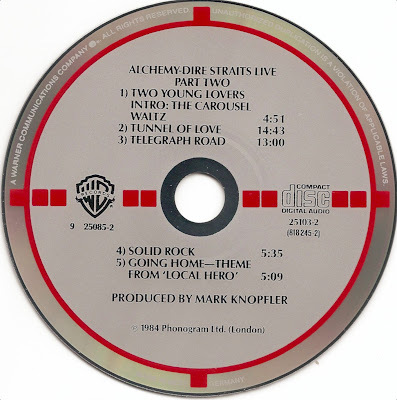 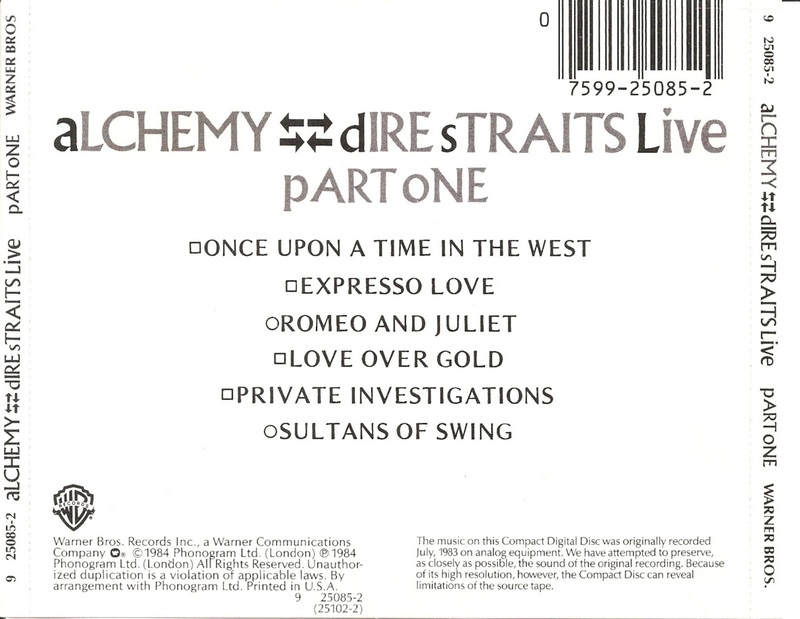 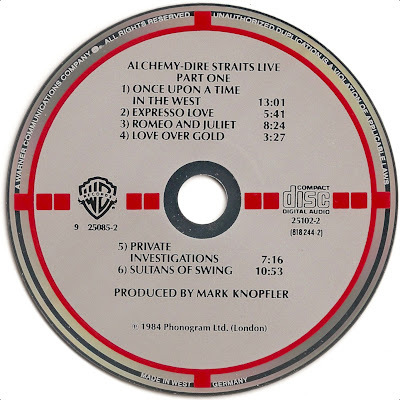 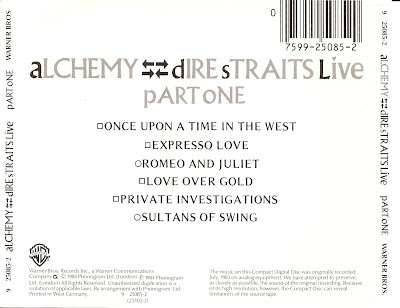 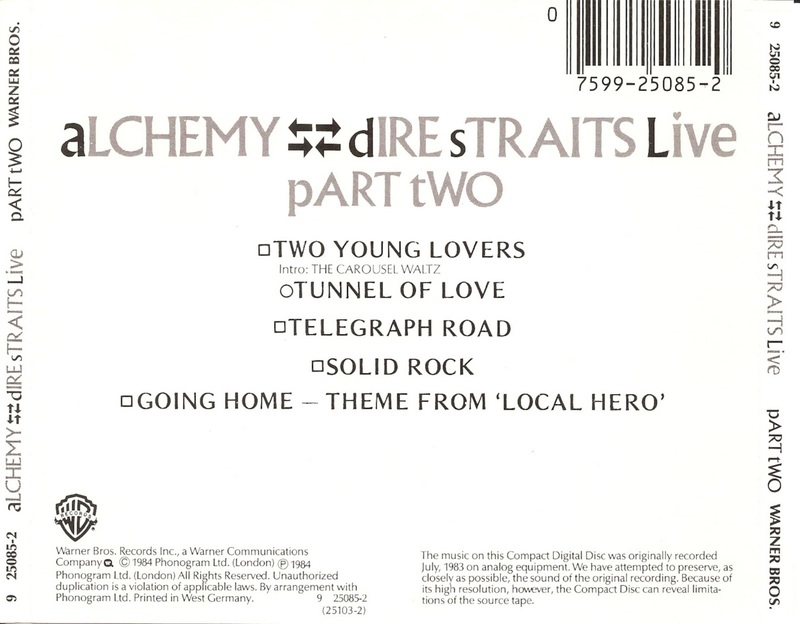 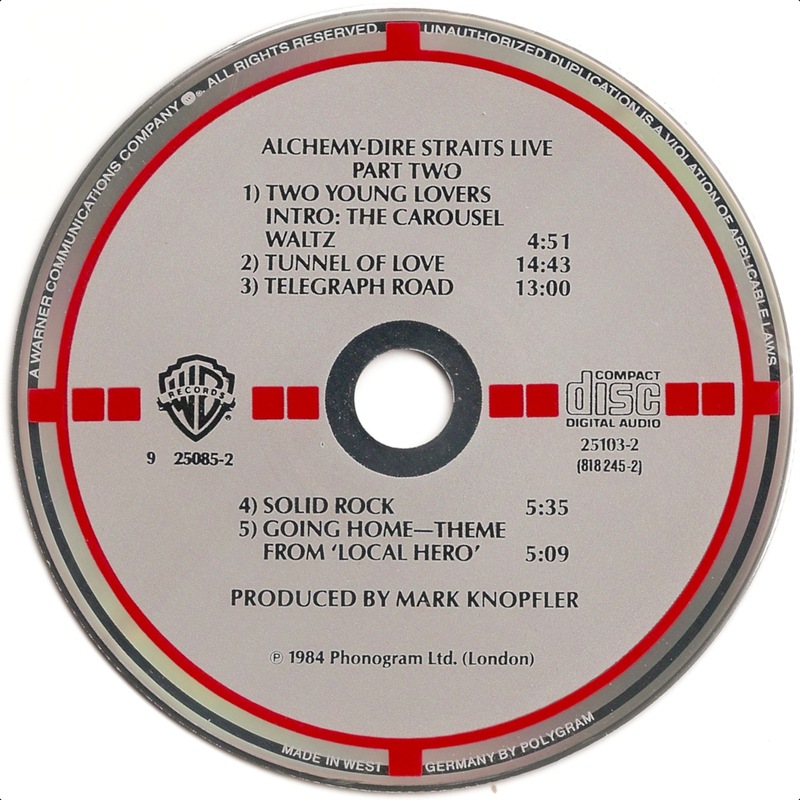 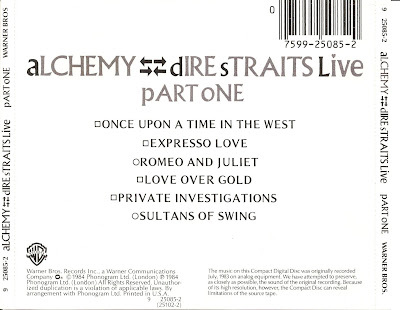 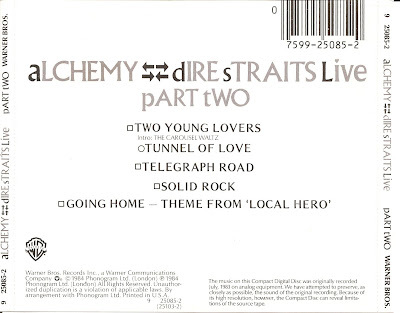 Alchemy is the first live album by British rock band Dire Straits, released in 1984. 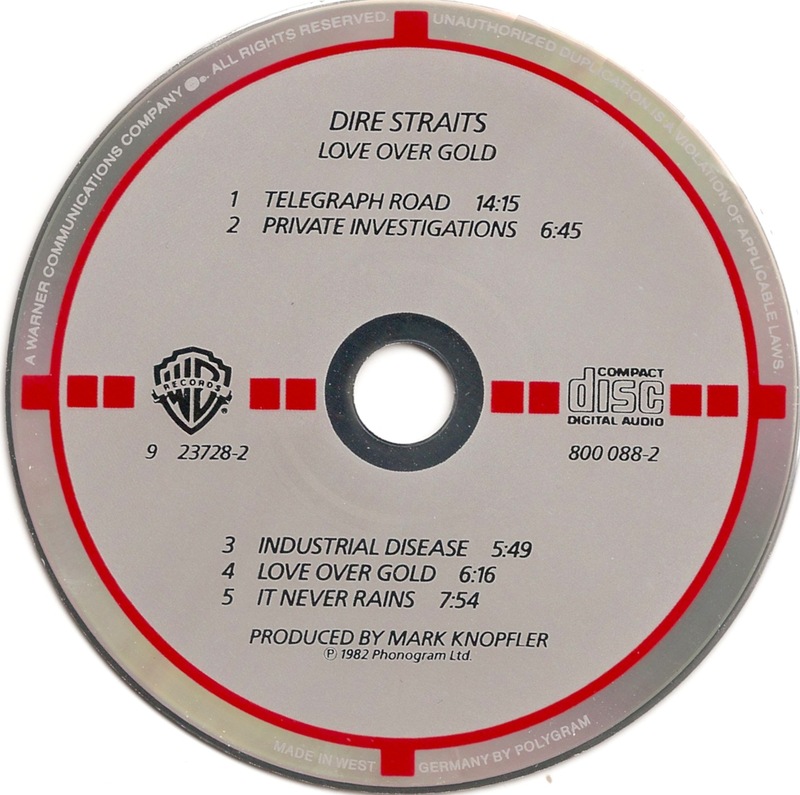 D-1a : WB - 9 25085-2 - red / gray / black - MADE IN WEST ☐ GERMANY BY POLYGRAM - outer mirror band - 818 244-2 02.